Punishment is a topic of increasing importance for citizens and policymakers. Why should we punish criminals? Is the death penalty ever justified? 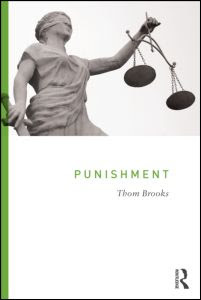 Thom Brooks aims to address such questions in this critical introduction to the philosophy of punishment. Examining case studies including capital punishment, juvenile offending, and domestic abuse in detail, this is an accessible and engaging summary of the key theories of punishment, finds Hamish Clift. Punishment. Thom Brooks. Routledge. November 2012. In 1757, Damiens the regicide was executed for the attempted murder of Louis XV. His punishment involved his being tortured by hot pincers, burned by hot wax, sulfur and oil and being drawn and quartered – which involved having each of his limbs tied to a horse and having the horses gallop away, rendering his limbs from his trunk. Unfortunately for Damiens, his joints were too strong to be pulled apart by horses and they had to be mostly hacked apart before the beasts were able to tear them away. Finally, his bloodied torso was burned alive. Foucault famously begins his work on punishment, Discipline and Punish, with a lurid description of this event. The shock this penalty causes a modern reader indicates the protean nature of society’s ideas of punishment and how these manifest in carrying it out. Types of punishment can be explained by specific theories of punishment – in the case of Damiens deterrence is probably the most relevant – and it is with these theories that Brooks devotes the first two thirds of Punishment. Brooks begins with an exposition on punishment theory grounded strongly in a Hartian conception of punishment which is a mixed theory. He adopts, with some elegant reworking, Hart’s four criteria for just punishment from the seminal Punishment and Responsibility. It is important to note that punishment in this context must be legal punishment, that is, punishment which is a response to a crime and carried out by some state entity. In this regard it is unsound to separate the notion of retribution from punishment. Indeed, retribution forms what Hart and Brooks call the Distribution trait of punishment which is necessarily retributive. If this were not inherent to a theory of punishment in this sense, it would be possible to put forward a theory which allowed for the punishment of innocents, such as the spouse of children of a criminal, which is unacceptable. Retribution in this sense is distinguished from a broader retributive theory of punishment – such as that described by Hegel – in that it is purely a question of distribution, that is: to whom may punishment be applied. Seven theories of punishment are discussed by Brooks, bifurcated in to two sections: general theories, which contains retributivist, deterrence, rehabilitative and restorative justice theories; and the hybrid theories of Rawls, Hart and the mixed theory, expressivism and the unified theory. Following the sections on theories of punishment, in the final part of the book, Brooks sets about applying various theories to four case studies: capital punishment, juvenile offenders, domestic abuse and sexual crimes. The survey of each of the theories is thorough and accessible, but for Brooks each is inferior to the unified theory of punishment. The first six chapters are set up to allow for only one conclusion: that the unified theory is the one ring of punishment theory, which will bind each of the theories into a broad, irresistible theory. The unified theory of punishment, as described by Brooks, has its genesis in Hegel and the British Idealists. It aspires to unify ‘multiple penal goals in a single and coherent approach’ (p.126). This unification has a single, primary ground which operates as a foundation only and does not ‘serve as the whole of the punishment itself’ (p.127). This pluralist approach is compelling because it attempts to draw together the benefits of various theories, each of which combats the negative aspects of theories of those with which it is combined. Brooks contends that the adaptability of the unified theory is what sets it apart from other theories and he offers a strong defence in its favour, distinguishing it from the Modern Penal Code. In spite of Brooks’ excellent defence, it is still difficult to shake the feeling that the unified theory is merely an elaborate chimera. Punishment in the context discussed by Brooks is a vital consideration of not only jurisprudence, but of moral and social philosophy. Brooks’ adept synthesis of key theories of punishment and their application to four case studies renders unto the reader a clear foundation with which to understand (and perhaps equivocate upon) their own position, as well as that of others. The application of theory to case study assists the reader in better understanding both and provides for a much fuller relationship with the ideas discussed. As a state function, punishment is a norm prone to variance and evolution. While its definition and justification remain – necessarily – stable under each theory, the practical aspect of punishing an individual varies greatly with history and society. Damiens was punished in ways that seem cruel by modern standard. This aspect of punishment, the dynamism inherent to any function exerted by a state in this way, makes understanding the underlying framework and justification of punishment all the more important for lawyers, politicians, philosophers and all citizens. But it is also this aspect that most undermines the unified theory, which at its core, seems to be merely a theoretical quiver allowing different approaches to be applied in different situations. Regardless of this, Punishment is an accessible, engaging and successful précis of key theories of punishment. Hamish Clift is a student of Law at QUT in Australia. He holds a BA in literature and philosophy and a Master of Development Economics from the UQ. His research interests include law, economics, governance, development and ethics. He tweets, largely mundanely, at @perishablexcess. Read more reviews by Hamish.